Discount Cash sales and Personal Contract Purchase offers from www.newcar4me.com. 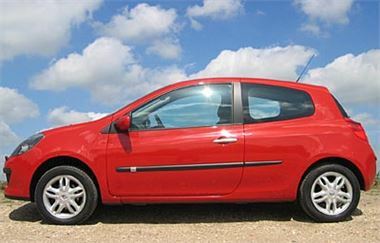 The wing offer allows you to save thousands on brand new UK supplied Renault's. If you can't find the new car you are looking for please call 0870 990 5583 for competitive quotes on all makes and models. Quick delivery, most colours available in 14 days. Cars must be registered by the end of Sept 07. Newcar4me.com is a wholly owned subsidiary of DSG Auto Contracts Ltd. Newcar4me.com specialises in discounted new UK supplied cars and offers online Personal Contract Purchase (PCP) quotes. Visit www.newcar4me.com to see how much you could save on your new car.